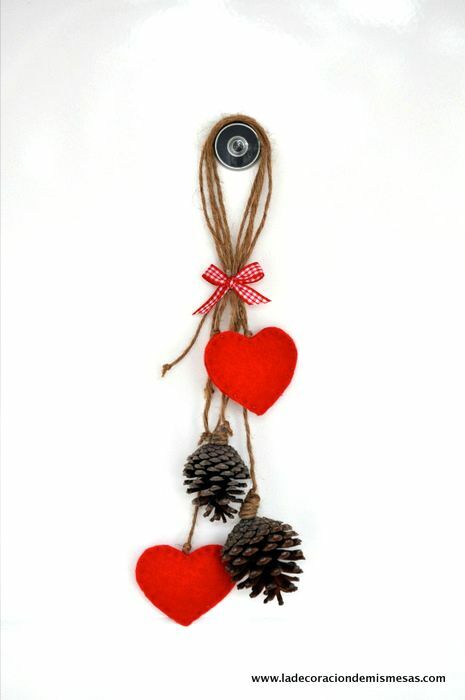 Christmas is coming to town and it is time to decorate the home and to feel the spirit. 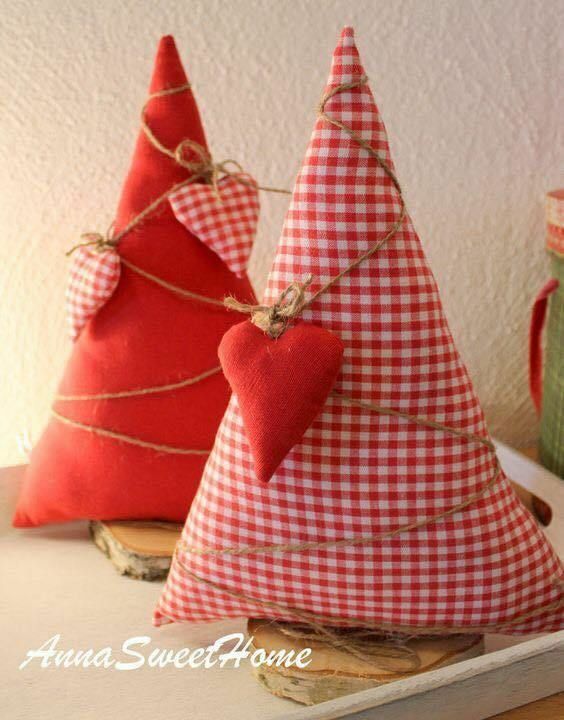 And there is no better way to get it that making your own Christmas decorations with these easy and funny ideas. Your family will love them! 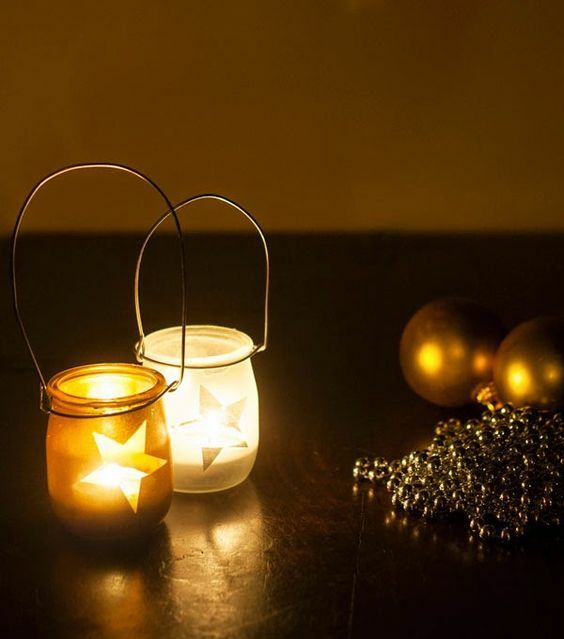 Use some empty jars you have at home to make beautiful Christmas candles. It is an easy and good way of recycling jars. The French yogurt jars are perfect for that, but you can also use other kinds. You just need to clean up well the jar and after that you can decor it in some many ways. For example, with glass paint, with glitter… It is up to your imagination! And of course, you can add a loop and a rope if you want to hang the candle. Once the jar is decorated, you just have to place a little candle inside and your Christmas candle will be ready to light your home! In addition, you can put inside some sand, salt, stones, etc. And, of course, instead a candle inside, you can put some fruits, balls, holly… everything you like. 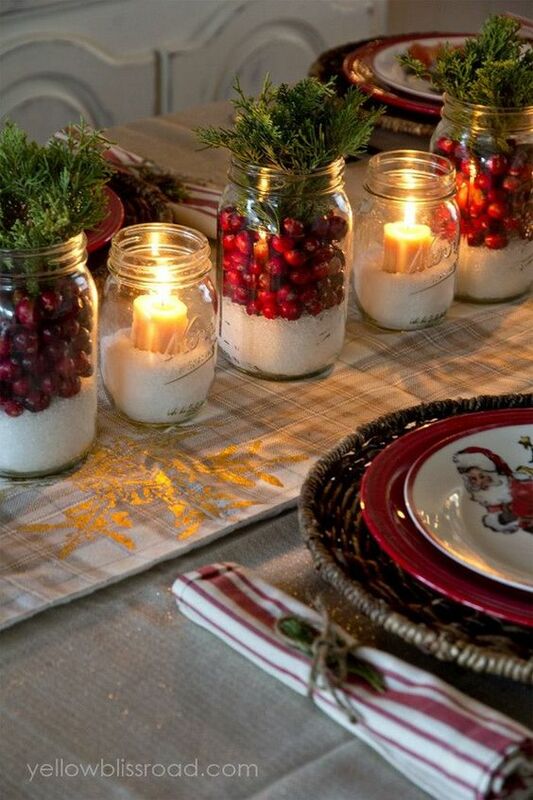 Try to alternate jars with plants and with candles as table centerpiece in Christmas Eve, everybody will love the amazing look of the table!